I feel like getting back to basics. I’m officially on holidays from my food editor job, and the past weeks have seen all manner of festive dishes cooked, tested and prepared for the magazine. I feel I’ve already cooked my way through Christmas fare and now I just crave some simple food that requires no recipe, no testing, no oven! 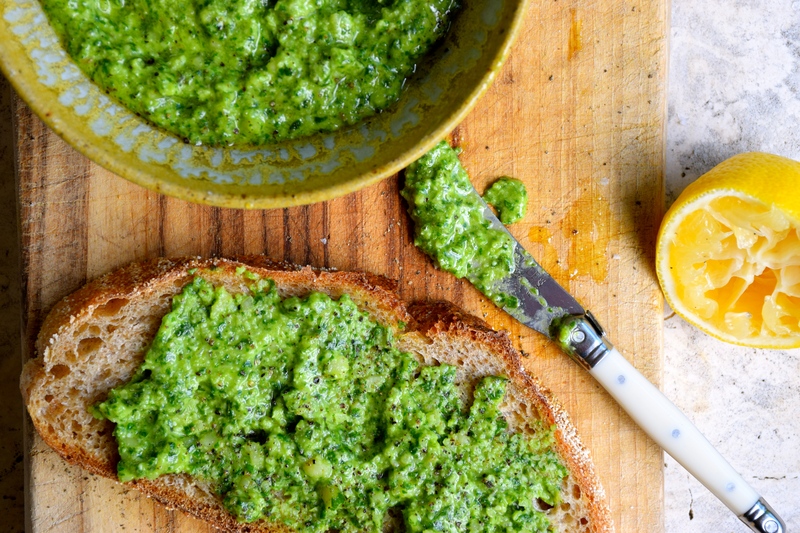 I can think of no better condiment to make in summer than basil pesto. 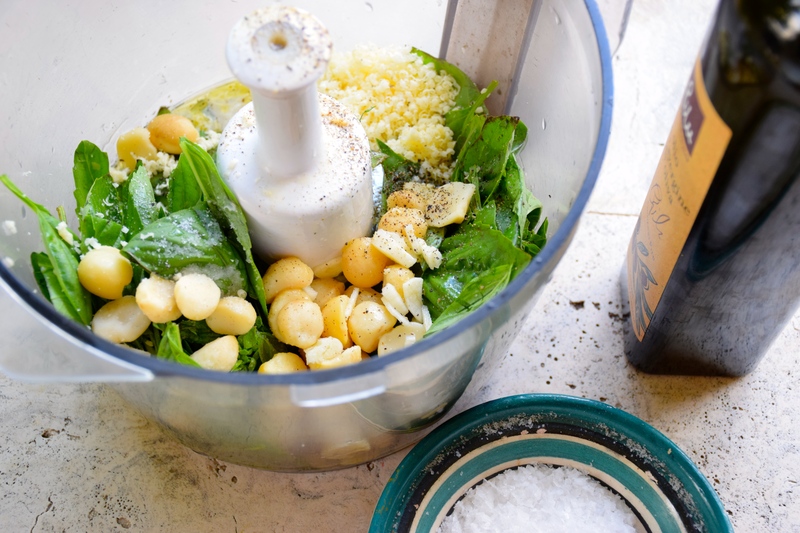 What makes this pesto truly special is replacing the traditional pine nuts with macadamia nuts. The creamy consistency of macadamia nuts is just what the sweet perfumed basil requires. It’s a match made in heaven. My son – and I must say I’m absolutely ecstatic about this – discovered he likes to eat my pesto with crackers. He actually polished off the entire bowl the other day and instead of lecturing him on how greedy that was, I was congratulating him on finally discovering the wonders of freshly made pesto. One child down, one to go. Place all the ingredients for the pesto in a food processor, blitz till nuts are a chunky consistency and basil is well combined. Check seasoning and adjust with extra salt, pepper or lemon juice. TIP – washing the basil enlivens the vibrant green colour and gives you a bright green finish to the pesto. Pesto stores in the fridge for several days. These are both so colourful and beautiful. The pesto is particular is making me hungry! But that list of food you’ve been working on – wow – I wish I could buy a copy of the magazine in Canada. Heavenly! Both great recipes! I love the macadamia in the pesto, yum! And, both red beetroot and red cabbage will give that surprise texture that is so special! YUM! Hi Chez, the lack of posts coming through might be due to my lack of actually posting! I’ve been enjoying my summer break from all things food. It’s almost time to get back into it and get cooking again. Happy New Year to you too. Hi Pam, Glad you liked the fruit mince slice, so simple, yet so yummy. One of the girls from the office will email you the recipe shortly. That pesto looks divine! So many fabulous recipes on here, can’t wait to try some! Thanks Jamie. Every kitchen should have a jar of homemade pesto on rotation, and this one with macadamia nuts is my favourite.